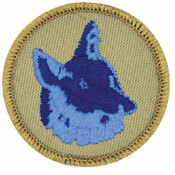 These are the offered patrol emblems for Webelos dens and Boy Scout patrols. 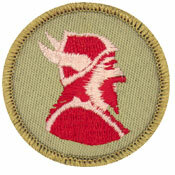 Each patrol should democratically choose a patrol name, emblem, yell, and flag design. 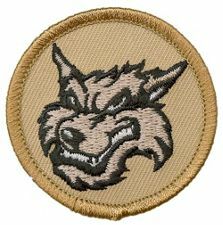 Choosing a name such as 'Dragon Slayers' instead of just 'Dragons' or the 'Wandering Arctic Wolves' instead of just 'Wolves' is more fun and personalized. 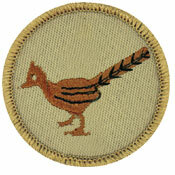 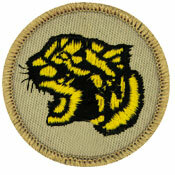 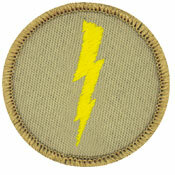 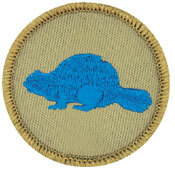 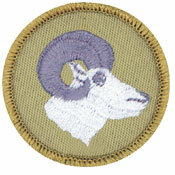 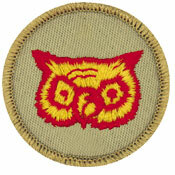 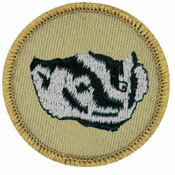 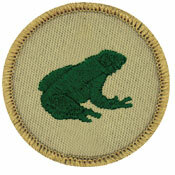 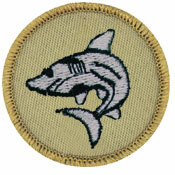 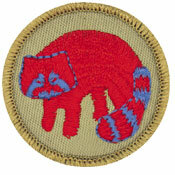 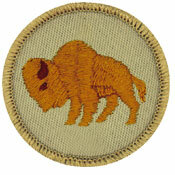 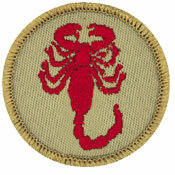 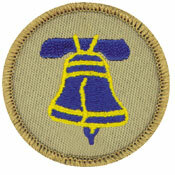 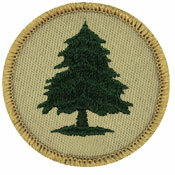 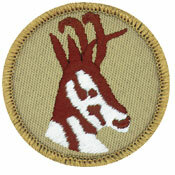 Remember, these can be displayed on the tan Webelos uniform, but not on the blue one. 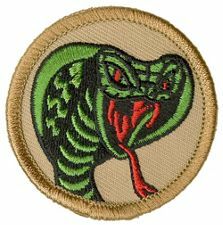 For patrols wanting something a little different, they can create custom patrol emblems or use other emblems such as those on the Custom Patrol Patches page. 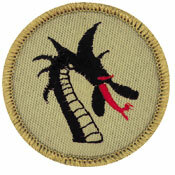 My son came home from scouts telling me his pratrol name is "dancing bananas". 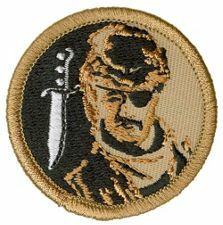 I do not see a patch for that. 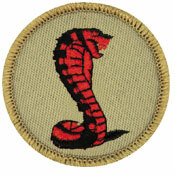 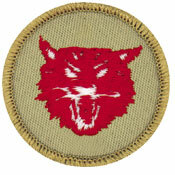 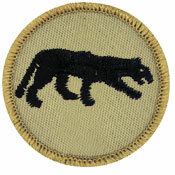 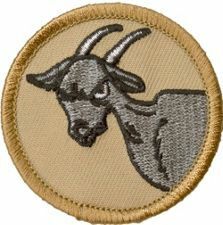 Any ideas on how to get 8 patches to represent the patrol? 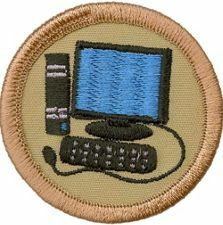 Susan - You can search on Google for 'custom patrol patches' and find a bunch of companies that will make them for you. 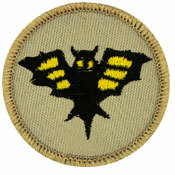 The dancing banana more than likely has evolved from the flying banana. 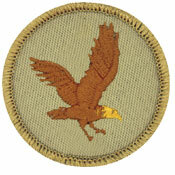 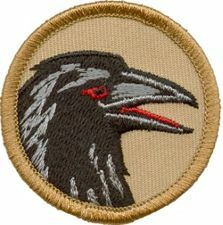 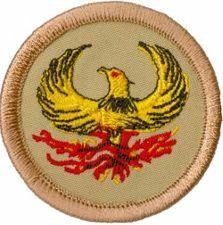 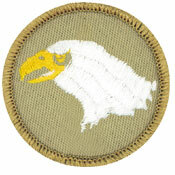 The original official release of the Flying Eagle patrol patch released by the BSA very much resembled a flying banana as the body of the eagle was yellow. 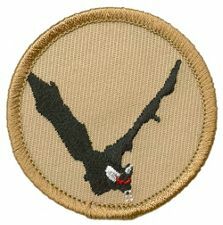 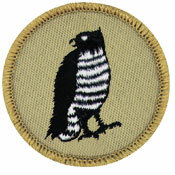 Scouts being witty as they are renamed the patch from flying eagles to flying bananas. 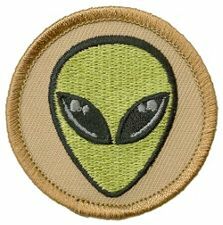 More than likely the bananas have landed and are now dancing. 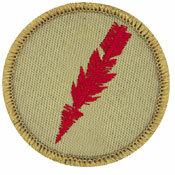 Im in Scots and my patrol is the last one.We are called "The Blank Flanks." 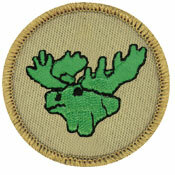 My son is part of the Moose patrol and they use the old discontinued green moose. 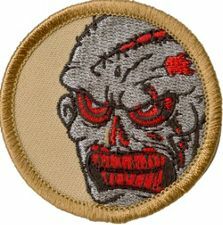 Any ideas of how I can get that patrol patch? 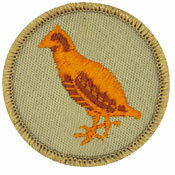 @Dawn - Good question. 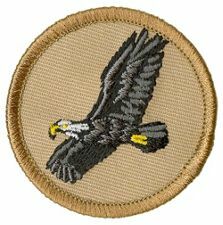 I should have bought up a box of each kind that the BSA discontinued. 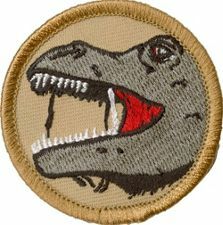 I couldn't find them any place online just now, not even on eBay. 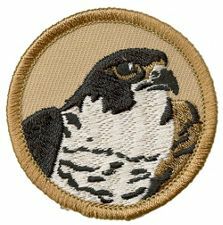 You might check with ClassB.com or PatchTown.com to see if they can custom make them. 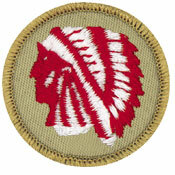 They wouldn't ever throw them away.. 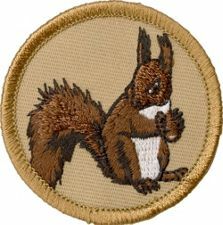 Even though they are not featured and discontinued doesn't mean they can't be found. 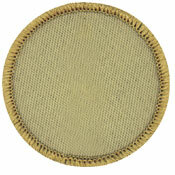 If you have the right National Scout Shop employee, they can check to see if there are any more in the system. 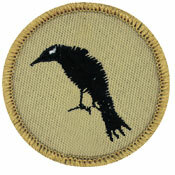 there were still some at one shop here in Utah, then they can order them in for you. 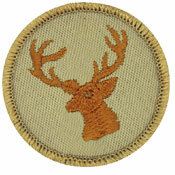 You could also get them custom made.. glow in the dark moose?? 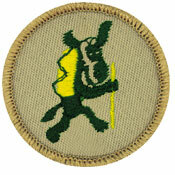 Louisiana Purchase Council still has the green Moose patrol emblems. 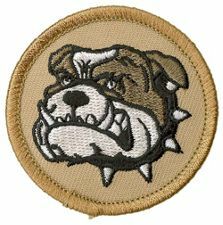 You can call them at (318) 325-4634. 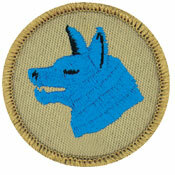 Do Webeleos 1 become a patrol or is it when the boys become Webelos 2? 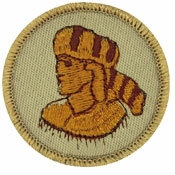 @Hassan - Webelos are never a patrol. 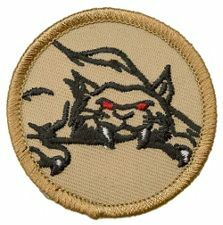 Their den can name themselves and use a 'patrol patch' rather than a den numeral for identification, but they are still a den. 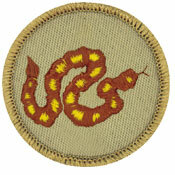 This can happen whenever the Webelos den decides to do it. 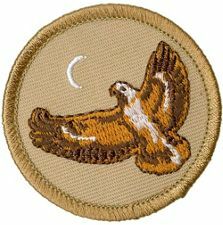 It's a good opportunity to give the scouts some control over their direction. 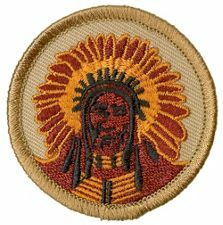 @Ohio - That AoL Scouting Adventure is a great way to help Webelos prepare to be a patrol once they transfer to a Boy Scout troop. 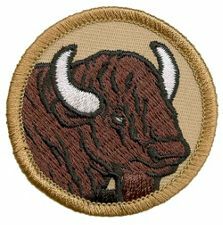 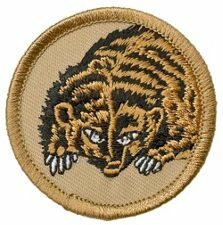 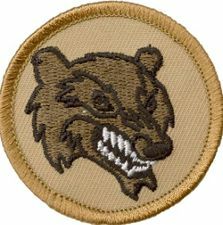 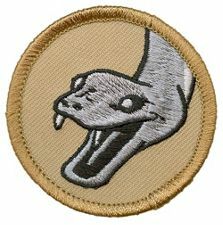 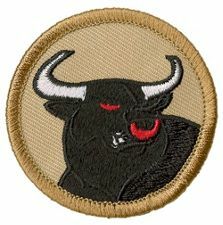 All Webelos and AoL requirements that I've seen refer to a group of Webelos as a den - "... patrol method in your den ...", " ... if your den does not already have one ...". 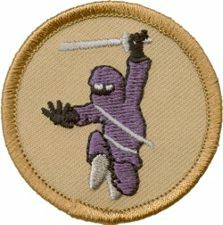 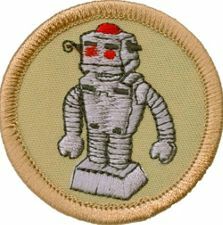 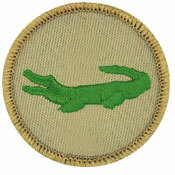 The requirement for the Scouting Adventure is to practice the patrol method for a month, but they don't become a patrol. 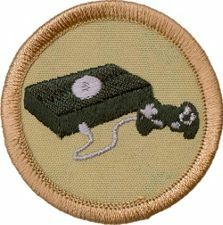 There is quite a bit more to being a working patrol than the 4 items in this one requirement. 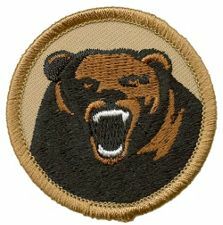 Pages 178-205 of the Webelos handbook discuss the Scouting Adventure and refer to the Webelos as a den throughout its explanations of the requirements. 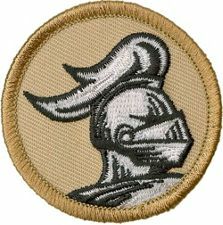 Where can the patrol patch be displayed on the uniform? 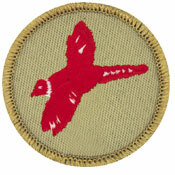 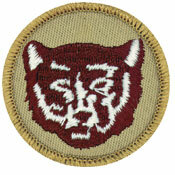 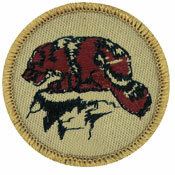 @Joel - see the Uniform Inspection Sheet linked to from the BSA uniform page.